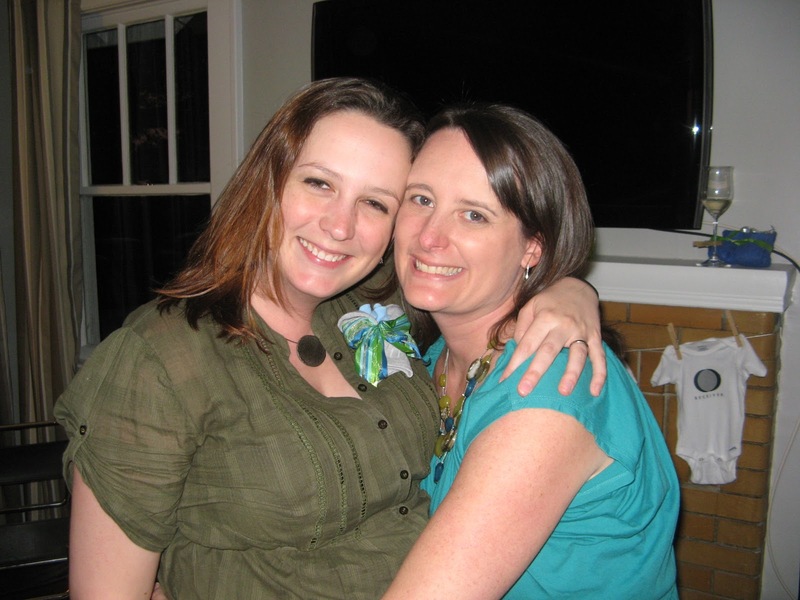 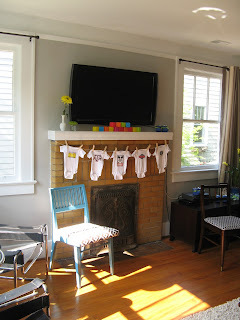 MIGRA[TION]: congratula[tion]s to the Charzewski's! 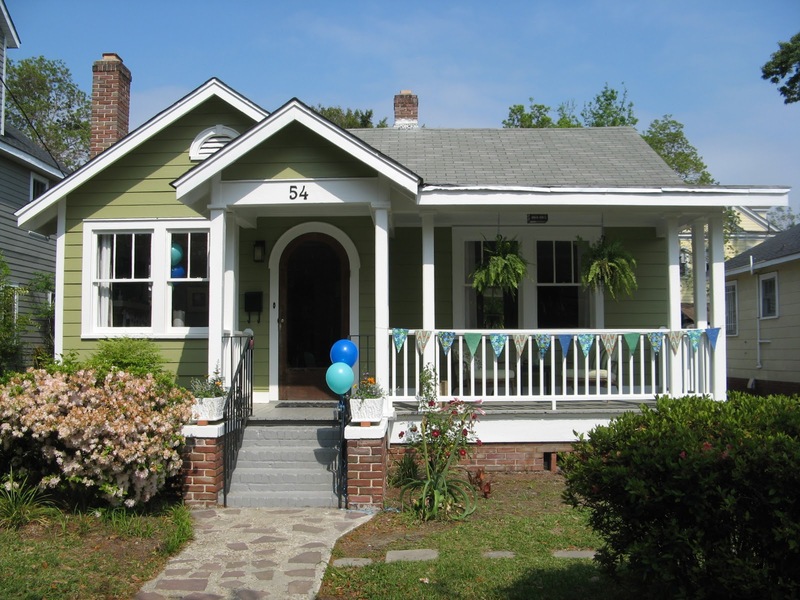 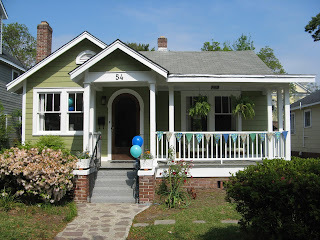 Amelia planted my flower boxes (along the stairs) that morning, and she made the sailing flags draped across the front porch. 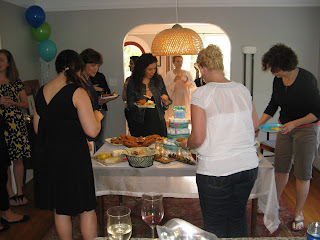 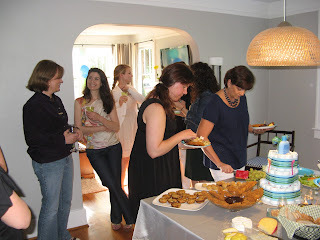 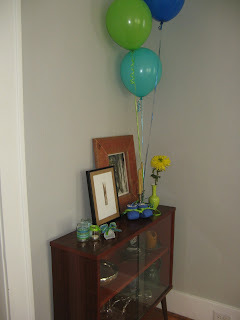 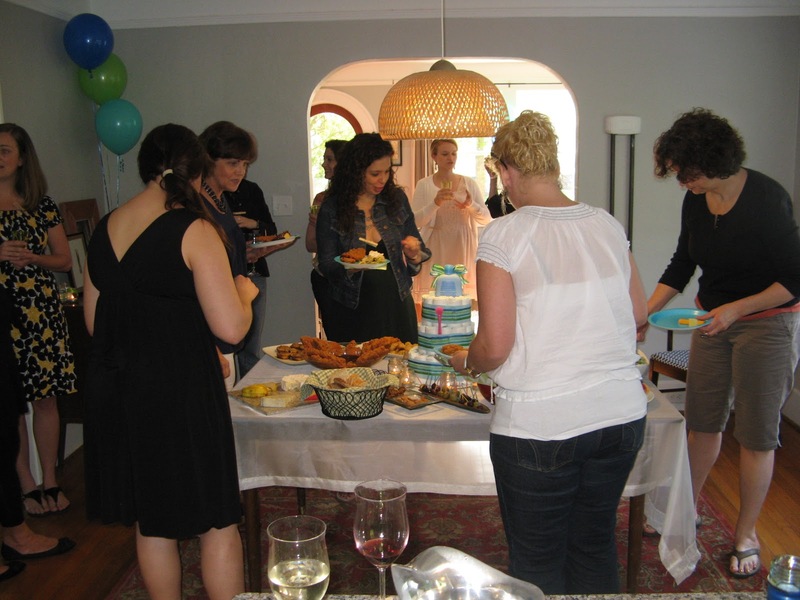 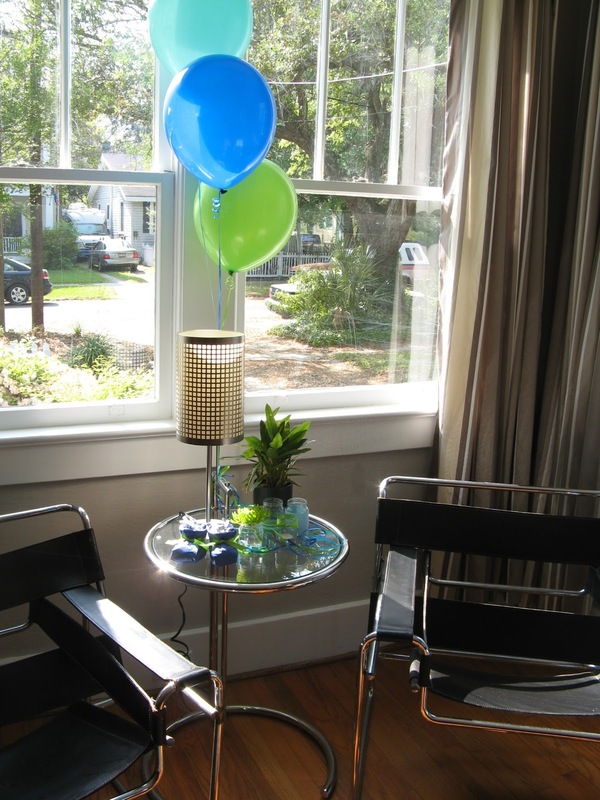 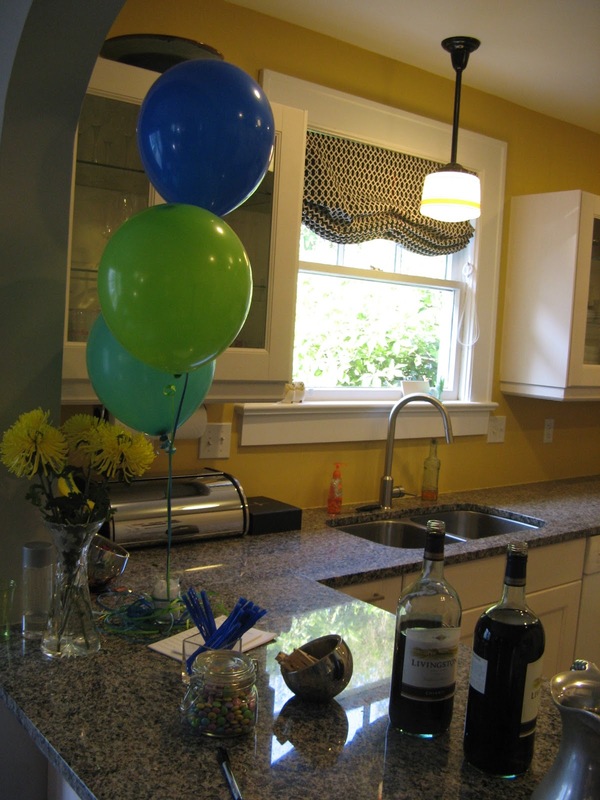 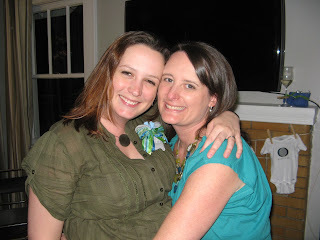 Because they are having a boy, the color scheme for the event was blue, turquoise, and green, which are the colors she's using in the nursery. 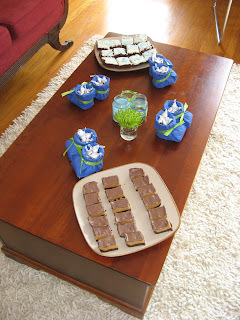 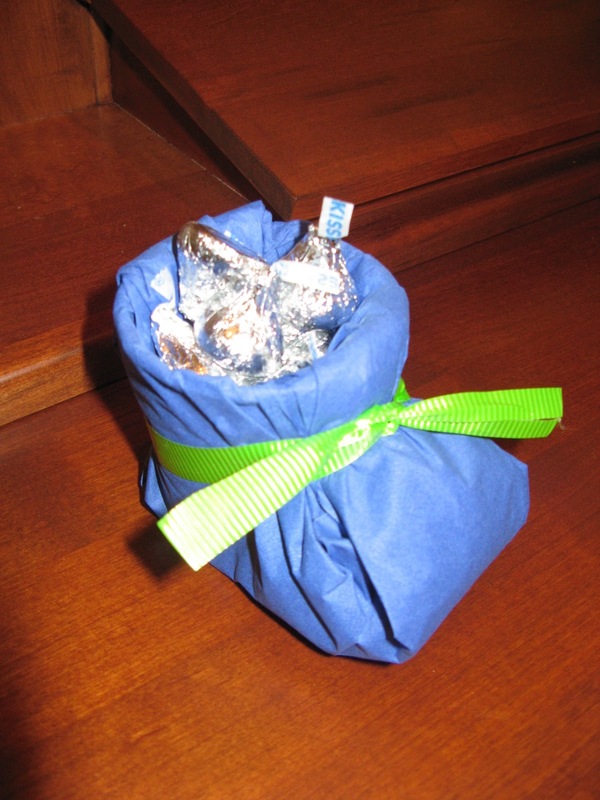 You can see the 'booties' that I made for favors, filled with hershey kisses. 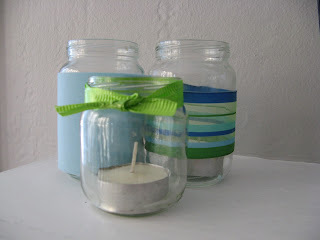 I had also wrapped baby food jars in various ribbons, keeping with the color scheme, and used them as votive holders and vases. 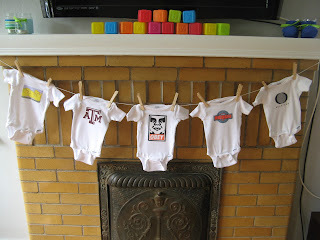 To personalize the event I hung a 'clothesline' of onesies that I had made from iron-on paper that were logos and images that are specific to the future-parents. 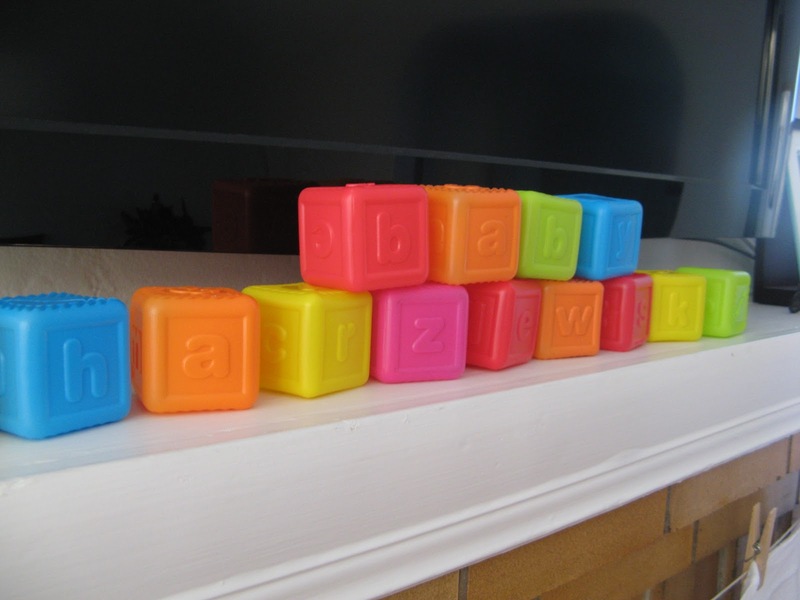 Also took baby building blocks and spelled out their last name on the mantle. Since the party was at my house, and I don't pride myself on being the most excellent cook, the other hosts brought the food & wine. 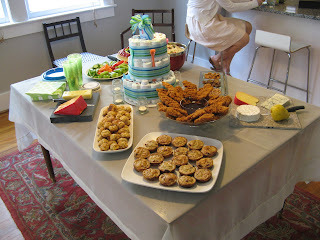 Check out the spread! 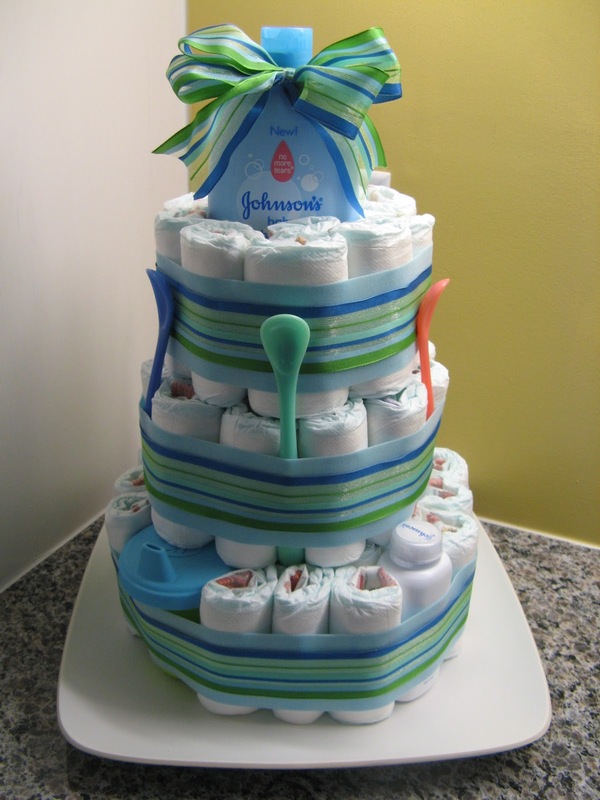 I did however make the diaper 'cake' with help from Veronica & Allison when they were here for the bridge run.